As you know, I dyed my hair brown this past weekend. I've been coloring my hair for a VERY long time and I have probably tried, oh, about 339204242094209 hair conditioners. With summer coming to an end, I can't help but notice how dry and rough it has left my hair. It's frizzy ALL the time! I don't know about you, but summer has pretty much taken the LIFE out of my locks. Hair can be stressed from sun exposure, chlorine/salt water and hot/humid temperatures, which pretty much explains the MESS on my head. It's become very straw-like, rough, dry and let's not forget FRIZZY! I love smooth, silkly hair and I've never really found a conditioner that can make my hair feel that way without feeling heavy or oily. Angels have sang y'all. I'm NOT kidding when I tell you that this stuff is AMAZING. DDHP is literally following me around and sticking his nose in my hair. Okay, that's a lie, but he really does LOVE the way it smells. When I walk by him, or when he hugs me, he always makes a comment on how AWESOME my hair smells. As soon as I opened the lid, I was in LOVE. 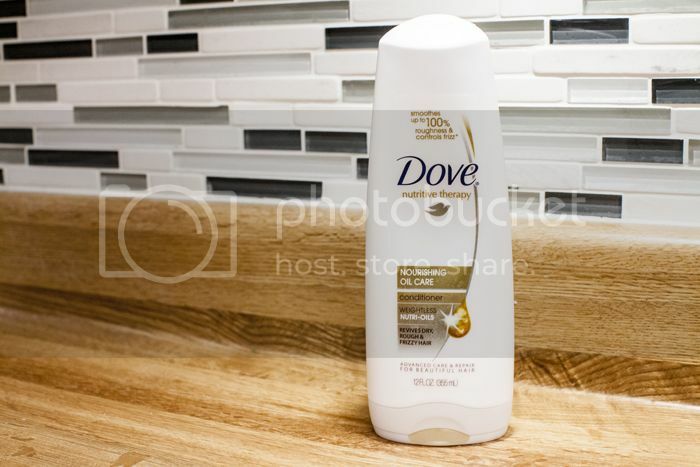 Dove advanced conditioners provide nourishment to repair dry and rough hair which for me is KEY! This conditioner has a Fiber Active technology that penetrates deep inside of the hair strand, which helps rebind damaged proteins. This conditioner has helped WONDERS on my hair by repairing all the damage and sealing my lifted cuticles. HELLO, AWESOMENESS!? The gold stripe contains Weightless Nutri-Oils and deeply nourish without a greasy feel and the white stripe contains conditioners that seal cuticles, and smooth the frizz. My hair feels smooth, soft and it just feels SO much healthier. It doesn't leave my hair feeling greasy or heavy and that is a MUST. One thing is for sure is that I have found a conditioner that I absolutely LOVE. You must try it because trust me, you will NOT be sorry. It' def. at the top of my list of MUST HAVES. Thank you, Dove Hair Gods. 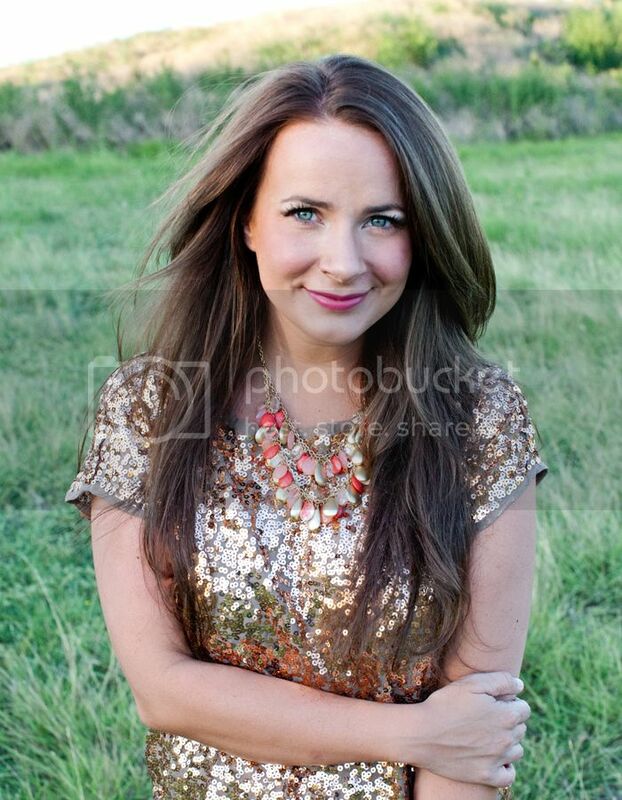 You are giving me the urge to go brunette after my wedding... it looks SO good on you!!! Oh man! I will definitely be trying this. My hair is SO DRY!!! Love the brown BTW! SO CUTE! How cute is that picture of you? I love the hair, the necklace, the top...everything! I'm loving you with brown hair, it looks fab! I'm pretty sure you have the prettiest hair EVER. Can I have it? Thanks. Wow, that shampoo sounds amazing! I'll have to try it out. I have naturally dry hair/dry scalp, so my hair gets damaged really easily. I'm constantly trying out different products to combat it! Thanks for the info! Love your blog! Nice photo, your hair looks great. I love your top and necklace too BTW. I discovered this shampoo and conditioner a couple weeks ago and had the same reaction! It's amazing and can't beat the price. I love your hair color also! You looks GORGIE as a brunette my friend! i heart you and DDHP mucho! First of all you're beautiful. Duh. Second, brunette all the way! It looks so, so fab! Love your blog! I need a new conditioner because I just ran out, so i will definitely be trying this one out! Your hair looks great, not too dark! I haven't visited you blog in so long! Sorry! Anyway, your hair looks great and it makes your eye just pop! So beautiful! I love Dove products but haven't tried this specific one, I can totally related on the dry hair ordeal so I think I'll just be getting me some of this! p.s. love your hair & this cute outfit, you're such a beauty.